Our trips are designed to be the perfect option for wildlife photographers of any standard. 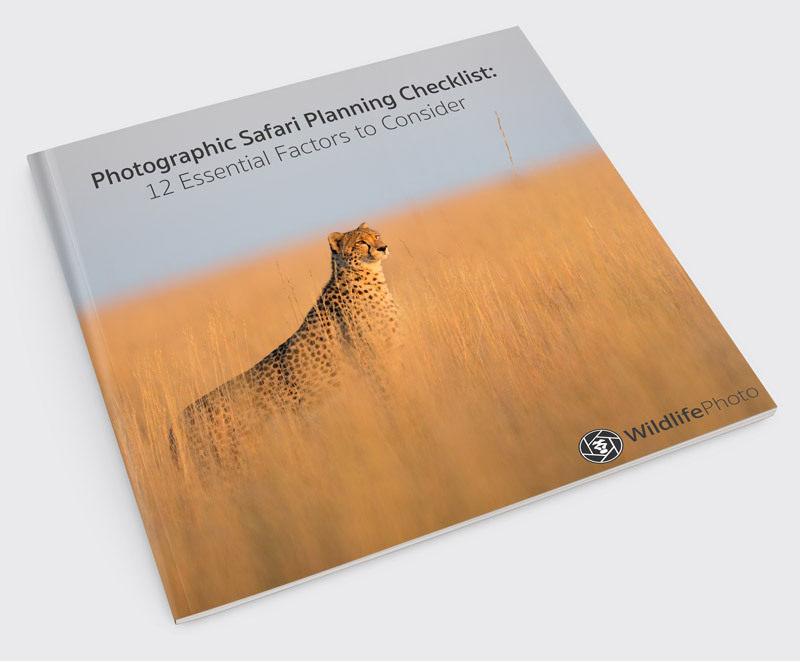 We aim to give you the premium features that photographers value, such as excellent guides, open-sided vehicles and the best locations, while maintaining exceptional value-for-money, so that you can afford to spend more time in the field. We understand that many photographers prefer to travel independently rather than as part of a group tour and they don’t need the added expense of being accompanied by a professional photographer. That is why we have created flexible itineraries that allow you to travel on your own or in your own group of family and friends. Finally, we have combined my knowledge and experience as a professional wildlife photographer with some of the most experienced and trusted travel operators, to develop exceptional trips that will provide fantastic photographic opportunities. Please note that these trips are not led by myself or another professional wildlife photographer. From time to time I guide exclusive photographic expeditions to various locations around the world. Subscribe to travel updates to be the first to hear about future trips. Subscribe to receive a notification when we announce new trips. Sometimes early-bird rates will only be advertised to people who’ve signed-up here!